A pool route, just like any other business or asset, has a value that can fluctuate based on the current economic state. The good thing about a pool routes value is that they do not fluctuate too much. Even over the last two decades, pool routes have always held their value and been re-sellable in the future if one desires. 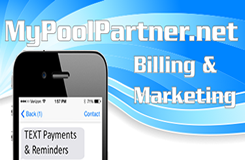 Since supply and demand trigger our industry to vary the prices of pool routes fluctuate, Pool Route Pros, Inc. is happy to provide any of our sellers with a free verbal appraisal whenever they desire. To get a free appraisal of your current pool route, simply fill out our master route sheet and fax or email it to us and receive a verbal appraisal of your route within 72 hours, or submit the questionaire below.